Hopefully, you enjoy our NBA Betting Guide that includes an overview of the entire season, a look at each conference, some favorites and more. If you are ready to start betting on the NBA — click the button below and get started today. When it comes to gambling on sports, one of our most popular and widely read handicapping topics here at the Spooky Express is in the NBA. The Spooky Express provides our readers with daily NBA matchup, free picks on many of the games played during the week and various daily fantasy sports tips on a weekly basis. For the past few years, we have had some of the top handicappers in the industry, breaking down the NBA action and giving our readers completely free NBA basketball picks. 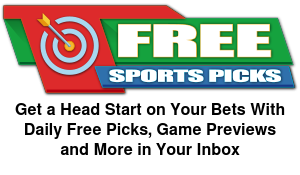 The Spooky Express makes it very easy to get your free picks in the NBA and also keep our readers updated with bonuses offered from our recommended online sportsbooks. 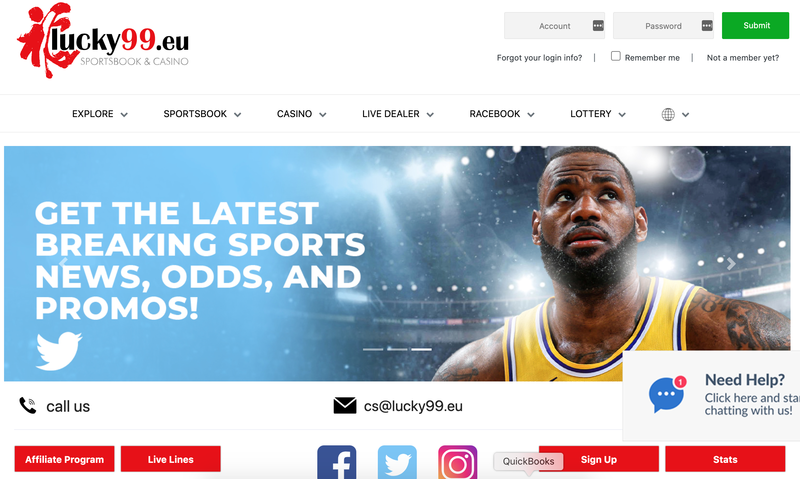 There are various different sportsbooks that we recommend to our clients and readers and each one has their own unique features, and when it comes to the NBA, you will want to have the best available due to frequent line changes. Each of these wagers has its benefits to the bettor and can be advantageous to play through different sportsbooks. Each sportsbook will have their own unique odds and we strongly recommend you have at least several options from which you can play. The most successful gamblers in the world will utilize several different online sportsbooks and use the lines to their benefit. There are two conferences in the NBA, the Eastern Conference, and the Western Conference. In each conference, there are an additional 3 divisions which are compiled by 5 teams in each division, making it a total of 15 teams in the Eastern Conference and 15 teams in the Western Conference. In this NBA Preview, you will find previews for each team in the NBA. The previews will contain additions to the team, starting projected lineups and expected finishes. We will also give out some future wagers for each team, where applicable. Each year there are favorites in the NBA that will contend for their respective conferences. This year, we have many of the same teams competing for the NBA Finals. The following 3 teams are our favorites to win the NBA Finals in 2018-2019. Golden State Warriors – The Golden State Warriors are naturally one of the top favorites to win the 2018-2019 NBA Finals. They have managed to retain the majority of their team and add some key pieces in free agency to set them apart from the rest of the pack. It use to be, you had to score enough points to keep up with the Warriors but now, you have to be able to score enough points AND you also need to be able to rebound once their free-agent acquisition DeMarcus Cousins returns from his injury. Cousins is going to bring a different aspect to the Warriors that will allow players like Steph Curry and Kevin Durant from shooting more frequently, even when they don’t have the best shot on the court. The Warriors are opening up the season as a 5/8 overwhelming favorite to win the NBA Finals. Boston Celtics – The Boston Celtics are the top favorite over in the Eastern Conference. The Celtics would of went a bit further last year but injuries have been a thorn in their side, in what seems like each year for the past few years. They will get Gordon Hayward and Kyrie Irving back in their lineups and they will run the court with Al Horford, Jaylen Brown and Jayson Tatum to form one of the most potent defenses in the NBA. If their defense is anywhere as good this year as it was last year, and they can remain healthy throughout the season, they will contend for the Eastern Conference spot in the NBA Finals. Houston Rockets – The Houston Rockets enter the season as the wildcard to win the NBA Finals. Most people would expect me to put the LA Lakers here simply because they have LeBron James but one player doesn’t make a team an instant championship caliber team overnight. The Rockets on the other hand, will return both Chris Paul and James Harden, and as we saw last year, these two on the court together can be a dominant force. These two can shoot the ball from anywhere on the court and can get the Rockets out in front early in the games. Harden is one of the most efficient shooters in the NBA and any team that he is on is naturally going to be one of the top teams in the NBA. The Rockets are currently 8/1 and hold a decent amount of value at those odds. The NBA normally has a sleeper or two that sneaks up and throws a scare into the top teams in the league and threatens to advance in the postseason. This year, we have picked out two teams that we feel are sleeper teams to watch in the 2018-2019 NBA season. Cleveland Cavaliers – The Cleveland Cavaliers are done now because LeBron has left right? WRONG! It is time for Kevin Love to step up and take over the team. Its now or never for Love and he has some decent stock around him this year. Rodney Hood, George Hill and JR Smith will play the perimeter with Love, while Tristan Thompson plays center for the Cavs. They may not be the best team in the East but I still think they will compete and be a sleeper team in 2018-2019. The best part is they can be found at 500/1 to win the NBA Finals this year! Think of how the media could run wild with that story, “CLEVELAND CAVALIERS WIN NBA FINALS WITHOUT LEBRON”. Toronto Raptors – The Kawhi Leonard saga in San Antonio is over and now, he makes his home in Toronto. Leonard will pair up with Kyle Lowry and Serge Ibaka, along with Danny Green and Jonas Valanciunas to compete with the upper echelon of teams in the Eastern Conference. This play will 100% depend on how Leonard’s health is and if he is legitimately interested in playing here in Toronto. This teams is deep and they showed last year that they can play with the best teams in the East. But like I said, does Leonard really want to play?